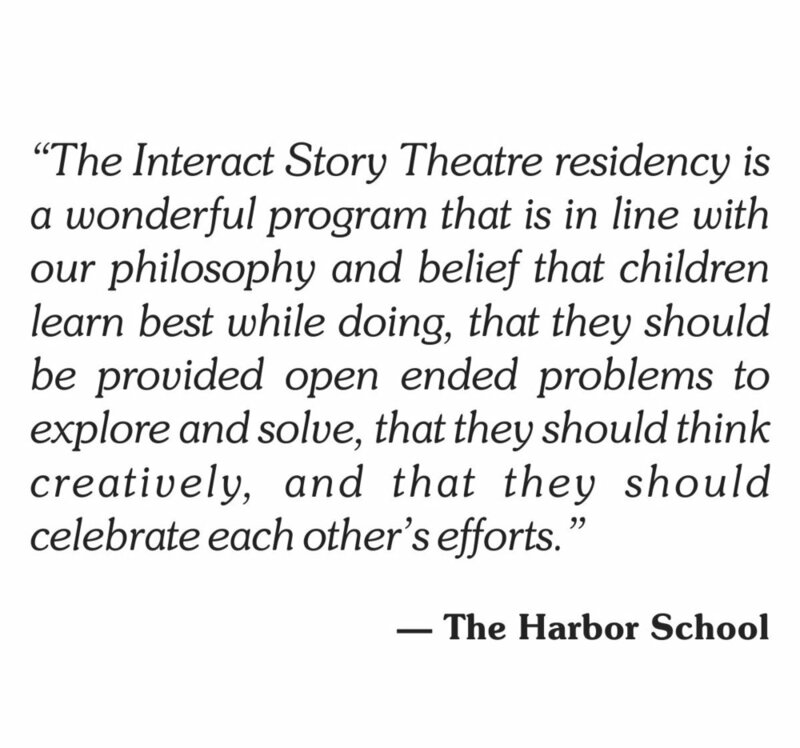 Since 1981, InterAct Story Theatre has brought a wide variety of educational, interactive performances, plays, and assembly programs to schools, libraries, and community venues, all throughout the area, delighting children, families, and educators alike. InterAct Story Theatre is proud to offer a variety of performances tailored to children and young adults of all ages. Please scroll down and click through to check out our featured plays, storytelling and story theatre programs, and coming soon exciting new performance programs featuring music, dance, and "hybrid" multidisciplinary programs! Storytelling and story drama programs celebrating cultures from around the world. "Stories on Stage" programs combine storytelling, drama, and song to explore world cultures. 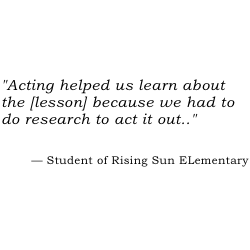 Our gifted performers become a variety of characters while bringing a story to life. Students "get into the act" too by participating in this riveting experience. InterAct has enchanted audiences for years with our story theatre productions, plays and storytelling performances. As we begin our fourth decade of arts for young audiences, we're celebrating the talents of our wonderful teaching artists and adding programs in Music, Dance and Multidisciplinary/Hybrid performances. We'll be adding more programs soon! All of our programs are available for evening or weekend events and family audiences. InterAct Story Theatre performances can be adapted for a wide variety of venues, including libraries, museums, community centers, arts centers and festivals. Please contact us for more information! Also, if you are interested in family programming, please feel free to check out our family literacy programs and community building programs!